‘I couldn’t understand how it worked but it did; I had smoked for 60 years! I didn’t feel it was a session as I just felt very calm! Thank you so much. I have just started my practical driving lessons and it has been really positive, instead of thinking what has gone wrong in the past I’m focused on positive things. I just want to say a big thank you again for your amazing help. I cannot thank Karen enough for all her help and support. I was experiencing high levels of stress and anxiety which was keeping me awake at night. After just 1 session I was sleeping better than I had done for years. She also amazingly helped me to reach my target weight (something I have been trying to do for years) without going on a diet or starving myself. Karen was caring and supportive and I felt in control at all times. I recently completed a series of 6 hypnotherapy sessions with Karen, exploring the principles of the Law of Attraction. I knew the gist of it and thought I knew a little about hypnotherapy, but the process turned out to be more interesting, surprising and revealing than I anticipated. It helped me summon up my own ideas and plans, and explore them a little bit more deeply by increasing my skills in both visualisation and in expressing my thoughts and visualisations verbally. If you feel you’re grinding your gears over certain issues, be they work-related or perhaps more personal ones, and you’d rather let go of them than continue dragging them around behind you like a load of noisy old tin cans, you would do well to book in with Karen for some of these sessions. Its not always a smooth ride but, as with everything which makes you think, reflect, consider and plan, the hard work involved is very worthwhile, and often very enjoyable too and i have liked both the journey and the new vistas which are unfolding! ‘The hypnotherapy sessions I had with Karen have been a really positive and powerful experience for me. 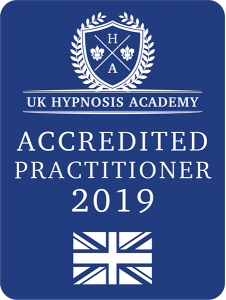 I’ve had hypnotherapy several times in the past, always to good effect but with Karen I found that I was into a very relaxed state so much faster than before. Karen has a lovely relaxing even tone of voice and her listening skills and attention to detail are exceptional-adding very positive elements to our sessions that were completely personal to me. This really elevated the positive reinforcement during the session. I would definately recommend seeing Karen if you have areas of your life you would like to change and improve’. ‘I can’t recommend Karen’s hypnotherapy highly enough- from the beginning I felt really comfortable talking to her, and through our relaxed conversation I found myself discovering things I had until that point been unaware of. She was very encouraging and supportive throughout and I felt in very safe, capable hands to be myself as she guided me through the process of creating a personalised hypnotherapy recording. The results have been phenomenal and have taken effect within weeks. I can confidently say that Karen’s hypnotherapy has had a profoundly positive impact on my life- thank you Maya Wellbeing! Keep on doing the wonderful work’. “Thank you so much Karen. You have a calm, positive, non-judgmental energy.” A.J-Norfolk. “Hi Karen, what you have done for me is incredible. For the first time, I feel in control, i look and feel different. You’ve changed my life! If you would like to chat about any aspect of the work I do and how it may be able to help you; contact me for your free 20 minute chat on the telephone or Skype.